I'd make it myself, but I'm lacking the time and the skills right now. Last edited by damzu on Fri Sep 04, 2015 9:08 am, edited 1 time in total. Note: this doesn't mean your request will be fulfilled, just stating without the above it would be impossible to fulfill.. The latest version 4.2.4 supports a mask for the user image so you can get a circular picture, with or without a frame. The Windows 7 style of CSM needs the option to uncheck "No icons in second column". Well, the icons I'd want in the right column would be for all of the default items and commands available in the Customize Start Menu tab of the Settings dialog (except for any customized items, of course). Played a little with the round picture. I cropped one of your bitmaps, and made it black. but at least there is a round user picture. We are only fishing, as we don't know all the rules. Maybe you can ask Ivo to update the skinning toot. My brain just woke me up, to remind me about the version I changed. This is well and truly my last attempt at the frame. One of the images is 64 pixels, the other is 56 pixels. I think I got it now. Mind you, it really was like fishing. A few times I had it, then it got away when reset. Seems stable now. I will let you tweak it more to your taste. Replace bitmap with newer 40,41. Last edited by juniper7 on Sat Sep 05, 2015 1:45 pm, edited 1 time in total. Wow, this is is looking great! I think we're getting close. I made a slightly bigger one to match Tihiy's original. I didn't make any for higher dots per inch. The arrows on the left column are too light to see. I'm not trying to take over your project. I will be silent now. I love the wireframe icons that Startisback has and would like them for classic shell in 7 skin. Is there any chance it will happen? Post your request in the Feature Requests Development section, for it to be noticed better, by the master IVO. would have to be modded for proper glass color. Here are links to the black skin. Maybe someone can convert to glass like Van SN did with his "Metro Glass" skin? That's great that you figured it out, Gaurav. to show everyone how easy it is to put in the label area of Customize Start Menu tab. 1. Right click the Start button and click Settings. 2. Check "Show all settings" at the top of the Settings window. 3. Go to Customize Start Menu tab. 4. Download the file attached in the post above called Glyphs.txt. Open it. 5. 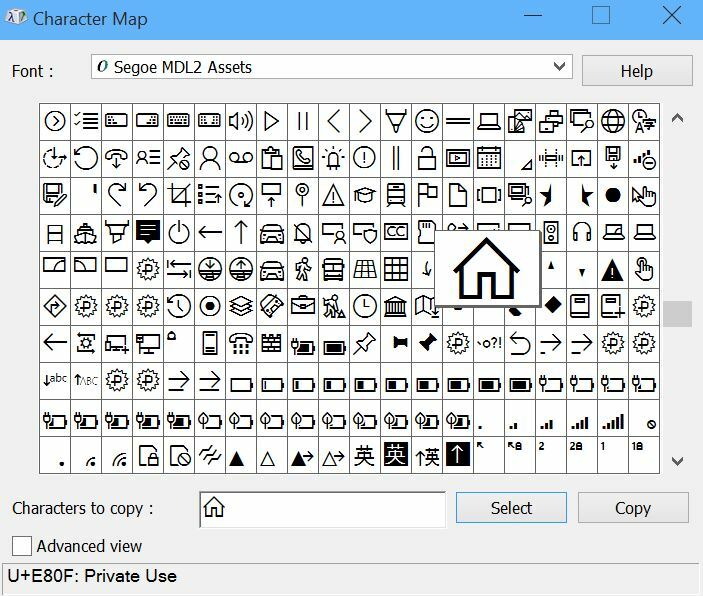 In the text file, select the glyph you want to insert and press Ctrl+C to copy it. 6. Switch back to Start Menu Settings and double click the *icon* of the item whose glyph you copied. This will open the "Edit Menu Item" dialog. 7. Erase the contents of the "Label" text field and then press Ctrl+V to paste the glyph. Then type the name of the item after the glyph in the language of your choice. 8. Click OK everywhere to save Settings. 9. 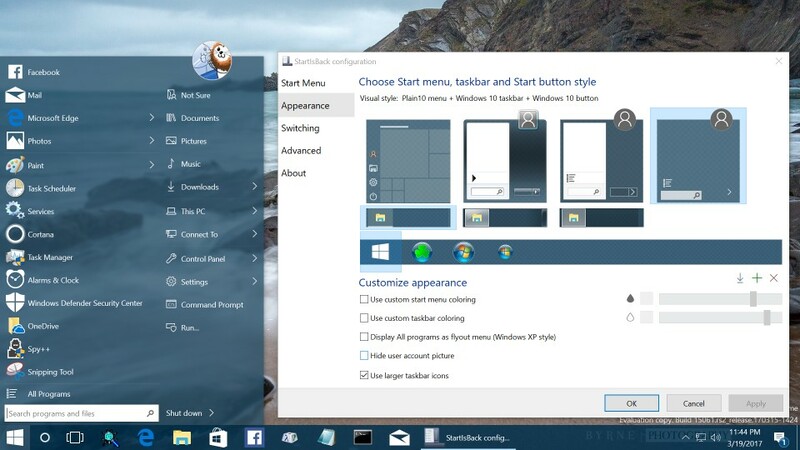 Repeat steps 1-9 and you will have a Start Menu 2nd column with Windows 10-like icon design. Is that a custom visual style on 8.1? Yes, it's the Windows 8 Release Preview style. I do create styles for 8.1, but that's not one of mine.